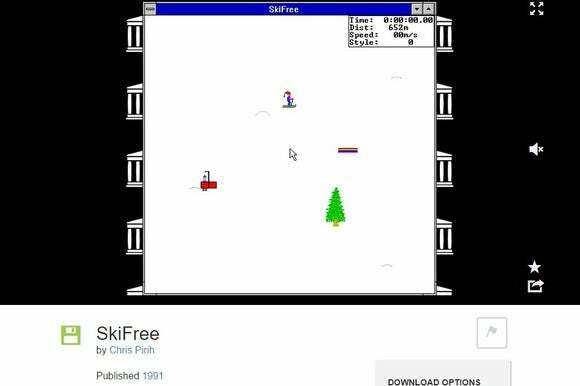 Want to play some SkiFree or JezzBall? Now you can, right through your web browser. 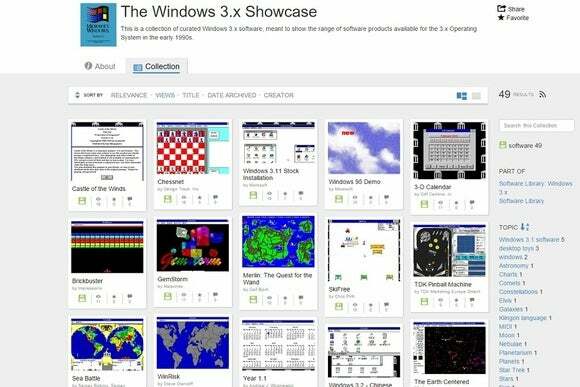 After reviving classic DOS games and reminding us how awesome PC viruses used to be, Archive.org has brought back a trove of games and software from the Windows 3.1 era. So far, it’s quite the collection. The Windows 3.x Showcase section is a good place to start, with gems like SkiFree, Wheel of Fortune: Deluxe Edition, and even a promotional walkthrough of the upcoming Windows 95. You can also check out a stock installation of the operating system itself, with programs like Write, Paintbrush, and of course Minesweeper. Beyond just gathering and emulating the old software, a lot of work was involved in whittling down the size of each DosBox instance, Ars Technica reports. In the end, collector Jason Scott and a volunteer came up with a system that doesn’t require any optimizations for each individual app, allowing new additions to arrive quickly. As with Archive.org’s previous classic software dumps, it’s likely that some of these programs remain copyrighted. But the site has always argued that there’s a fair use case in offering the programs on a non-commercial basis for preservation, education, and public commentary. Why this matters: There’s clearly a value in preserving these classic games and programs. Together, they provide a glimpse at how interface design has evolved over the last quarter-century, and even the visual aesthetic is unique, in a way that isn’t captured by today’s retro games. Then again, the value of wasting an entire morning chasing a high score in RattlerRace is entirely up for debate.